If you’re looking for a new bed, then for the sake of your health and wellbeing, don’t even think of compromising, just consider the best beds available. Fact is, we’re living and working in an increasingly hectic, stressed world, so the notion of being able to recuperate sufficiently through several hours of quality, uninterrupted sleep on a consistent basis, has never been more imperative. As has been covered in our previous blogs, there are various tactics to help ensure that you acquire the excellent night’s shuteye your body craves. But one sure way is to invest in a top-quality bed. So, what differentiates the best beds from the rank and file? 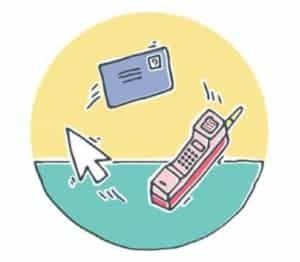 Here are some features and benefits you’ll need to look out for. Be circumspect about choosing the traditional wooden base, which can end up creaking, squeaking and groaning every time you blink. Today’s best beds are constructed from studier, more robust materials such as virgin polymer and high-grade aluminium materials. Another bonus of these new materials? No tree must fall so that you can fall into bed. These new materials also last longer than the wooden variety. 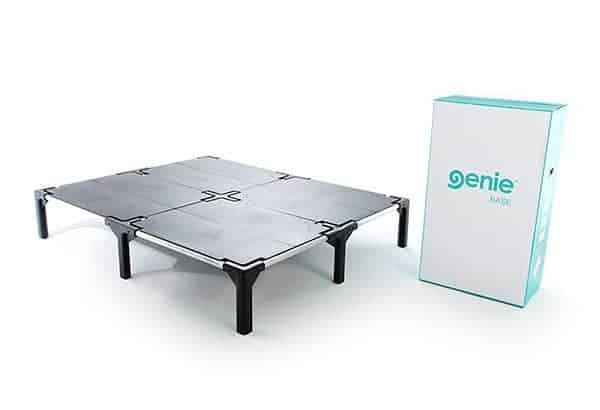 In fact, one top brand – the Genie bed – is so confident about the durability of its base, it comes with a five-year guarantee and a 15-year warranty. A self-assembly base is also a great way to save on the hassles of transporting the bed. And you don’t need a doctorate from MIT to put them together – these days, it’s a quick and easy exercise. Of course, a quality bed base also needs to have the strength to handle the heaviest sleepers. A bed base designed to accommodate two people both weighing 200 kgs is what you can expect with the higher-end bed brands. So even if you and your partner are sumo wrestlers in the heavyweight class, you can still rest assured. With storage space becoming a rare commodity, having a base that gives you extra storage space underneath the bed is always a significant advantage. To help you be better organised, some bed brands come with specially designed baskets to keep things neat and tidy. And don’t slip up if you have a tiled floor, some of the best beds have anti-slip pads that you can purchase which help keep your bed in its rightful place. Does the bed offer the full selection of sizes? A complete range of beds gives you a choice between a single, three-quarters, double, queen and king-size. Transporting a mattress and trying to negotiate narrow passageways in your home is enough to drive anyone around the bend. But technology has finally come to the rescue by way of the compact bed-in-box concept. Check it out, other than the being a seriously cool concept, it also makes life a whole lot easier. Look for a mattress made up of individually pocketed springs. This means that each spring is sewn into a single fabric pocket, which provides more support and comfort than the traditional wire-framed coil mattress. 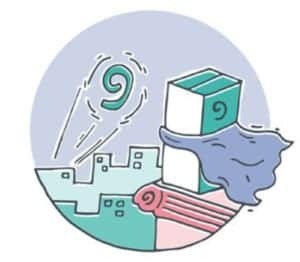 Another beauty of pocketed spring technology is that each coil moves independently and absorbs the pressure applied to specific parts of the mattress. Called Zero Motion Transfer, it means that you can sleep next to a breakdancing bull elephant and you won’t feel a thing. The technology that goes into a modern bed is literally down to the wire. In each of the zones, the thickness of the wire differs so that there’s extra support given to the heavier parts of your body. There’s nothing worse than waking up hot and bothered in the middle of the night. 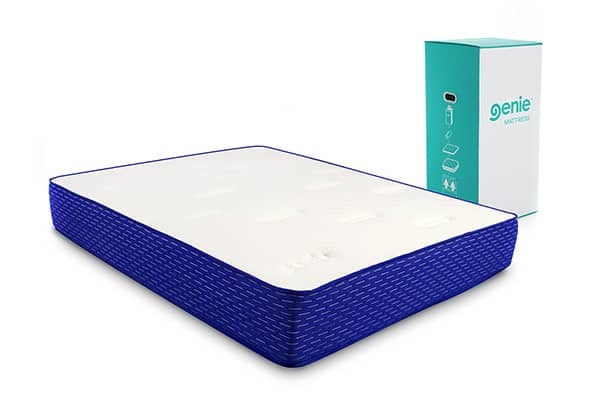 And to avoid that, the latest mattress technology includes high-density foam that’s studded with ventilation holes to allow air to flow freely, which disburses heat build-up for better temperature control. These days, modern bed design also includes framed perimeter border coupled with high-density foam casing, which makes it doubly sure that the mattress remains sag-free for many years to come. Natural latex is more responsive than lesser quality mattresses. It contours to your body in ways that air memory foam mattresses can’t. Latex foam also distributes your weight over a larger surface area and relieves painful pressure points resulting in better circulation and a longer, more comfortable sleep. As much as you will love natural latex, bugs and mites will hate it. What’s more, natural latex also moulds and mildew resistant, so you can expect it to last a good deal longer than its synthetic counterpart. A mattress that slips around on the base can be a mild irritation, so look for one with a non-slip layer that keeps everything on the straight and narrow. If you think the most up-to-date pillow is just an ordinary device to raise your weary head, think again. Today’s technology natural latex foam pillows are specially contoured to ensure that your head, neck and shoulders always get the correct level of support. 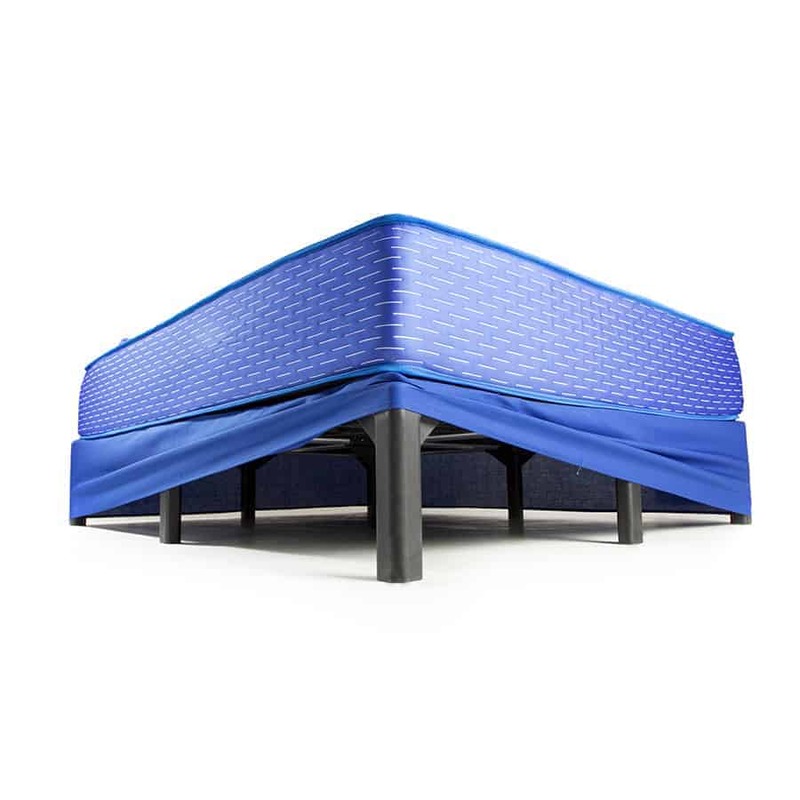 If you are in the market for the best bed available, check out the Genie range. Not only does a Genie tick all the right boxes, but it’s also backed by a 100-night guarantee. 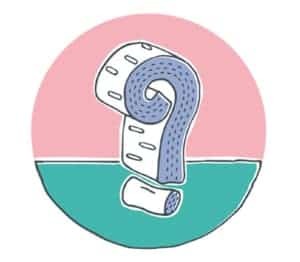 Basically, if for any reason you’re not happy with your Genie mattress within 100 days from purchase, then just contact Genie and they’ll come and pick it up from you personally. No questions asked. For more information on the Genie range, feel free to download the “How to Choose a Better Bed” guide. The rest assured for many years to come.